Time in way: 1 h. 10 min. 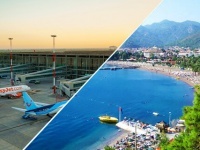 How can you book transfer from Antalya to Kemer and how much does it cost? 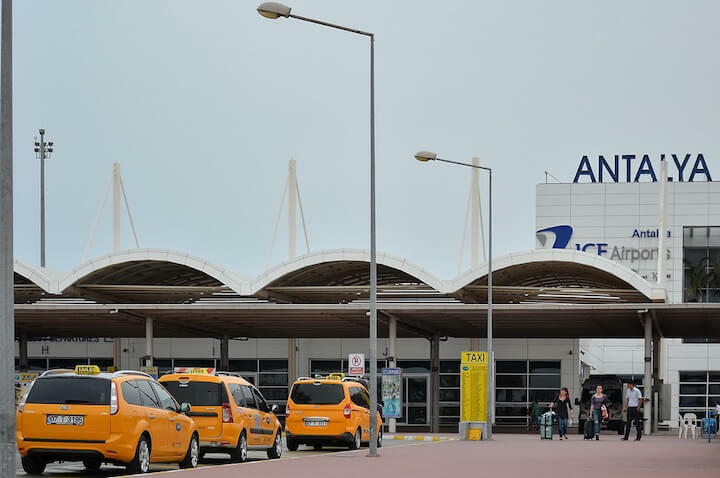 Usually tourists arrive to the airport of Antalya that is situated in 10 km from Antalya city. There are many ways and possibilities for every pocket and you will find your way in this article. The cheapest way of transfer is the bus. You will see the bus stop near the exit from terminal. You need the bus number 600. 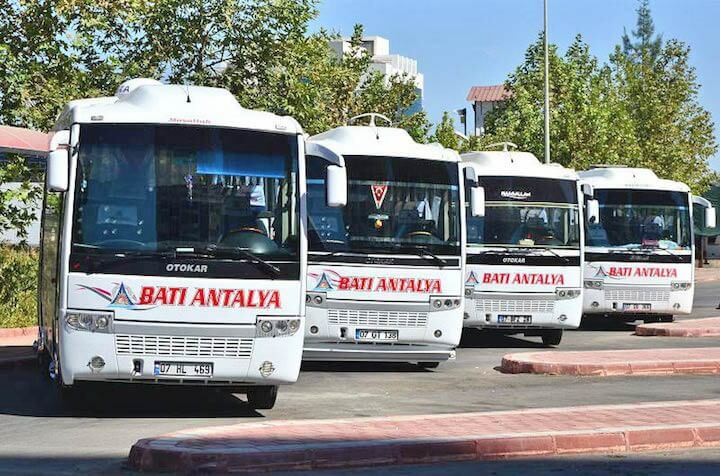 It goes to the bus station in Antalya. The bus ticket costs 4 liras. This bus goes every 30 minutes from 7 am to 1 am. Then you need another bus or express to get to Kemer. Trip by usual bus will take you about half and hour (bus ticket costs about 8-10 liras), because it goes through many villages with many stops. Transfer from Antalya to Kemer is quicker in two times. It’s another economical variant. You can use route cabs or dolmush. In this case you should go buy bus Havas from the airport. This bus stop is situated near the exit from the airport. You should go by bus to shopping centre “Migros” in Konyaaltı, and then go by dolmush to Kemer. It goes regularly and ticket costs only about 10 liras. Trip will take you about one hour. 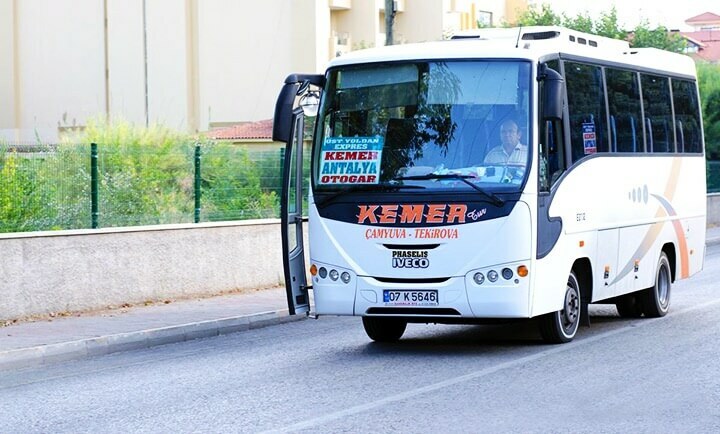 The best way to transfer from Antalya to Kemer for pragmatic is transfer in groups. You should ask this service tour operator, if you booked tour beforehand. Tourists that travel themselves can also try to use this kind of transport. You can go to the bus stop and ask driver. Some of them will be agree to take you to your hotel and it will cost you about $15-20. Transfer from the airport in Antalya to Kemer by cab is the most comfortable trip, but the most expensive. If you hire cab, you will pay about $150 (in night time you should pay extra 50%). You can do this through the Internet or by phone, or you can do this by arrival. Near the airport you should turn right and you will see cab stop (all cars are painted in orange). Trip will take you about an hour. Personal transfer also comfortable, but it’s cheaper. In this case driver will meet tourists with tablet in the airport and take them to the place of their destination. Transport companies offer different kind of cars: economical, standard, first class, off-road vehicle, van. How you can get from Bangkok to Ko Samui?